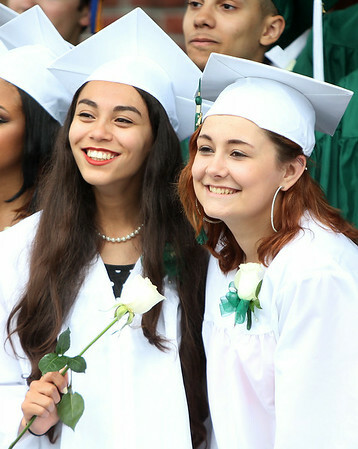 Salem Academy Charter School Nadia Tabbara and Brittnee Drafahl smile during a class photo prior to the start of graduation on Friday afternoon. DAVID LE/Staff photo. 4/13/14.